The University is offering a unique new benefit for its doctoral alumni from September 2018. This includes those who graduated from the University of Plymouth with a doctoral level degree (including PhD, MD or a professional doctorate such as EdD, DBA, DPA, or DClinPsy). As well as all of the other benefits of the alumni community, you are also eligible to apply to become an Alumni Research Fellow. As an Alumni Research Fellow*, you will be granted assistance and continuity to support you at the start of your academic or other research career. up to five hours of mentoring support post-graduation to support your development. *This is an unpaid position and no remuneration or other financial benefits will be provided for alumni research fellows. To find out more and to apply, download the application form and read the guidance notes and terms and conditions. 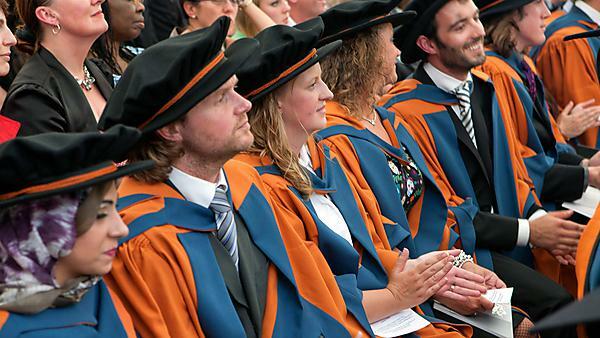 If you have any questions about the alumni research fellow scheme, please email alumni@plymouth.ac.uk.